"We very much look forward to hearing from you"
If you are not familiar with our company and your first contact with us is online, we'd be delighted to hear from you! Please let us know what your questions & needs are, we will be more than happy to help. 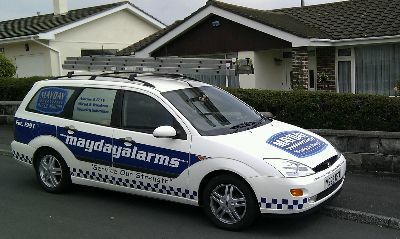 Established in 1991 & responsible for over 2000 outstanding Security System installations ever since, we Perhaps unusually do not aim to be the largest most profitable business... "But rather as standard, enjoy giving our customers the very best value for money service & care, on a more individual level, each & everytime" Our regular customers particularly value the extensive after care we provide long after the first 12 month guarantee period, for Total Peace of Mind Home & Away. Our Head Office is located at, Mayday House, 7 The Crescent, Brixton, Plymouth, PL8 2AP.